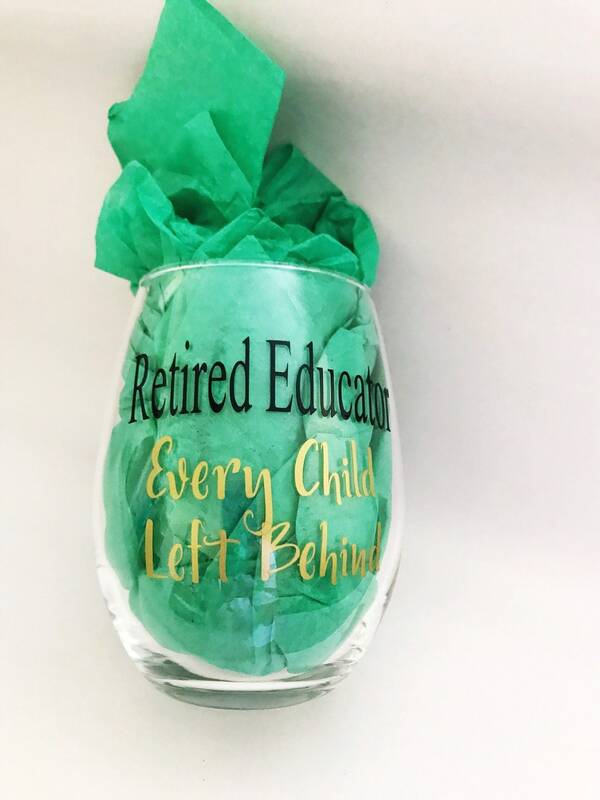 “Retired Educator Every Child Left Behind"
21oz wine glass, customized for a retired educator with a great sense of humor and love for wine. Indicate in notes to seller the custom changes you would like made to the glass. Looked great - as described! Quick delivery. 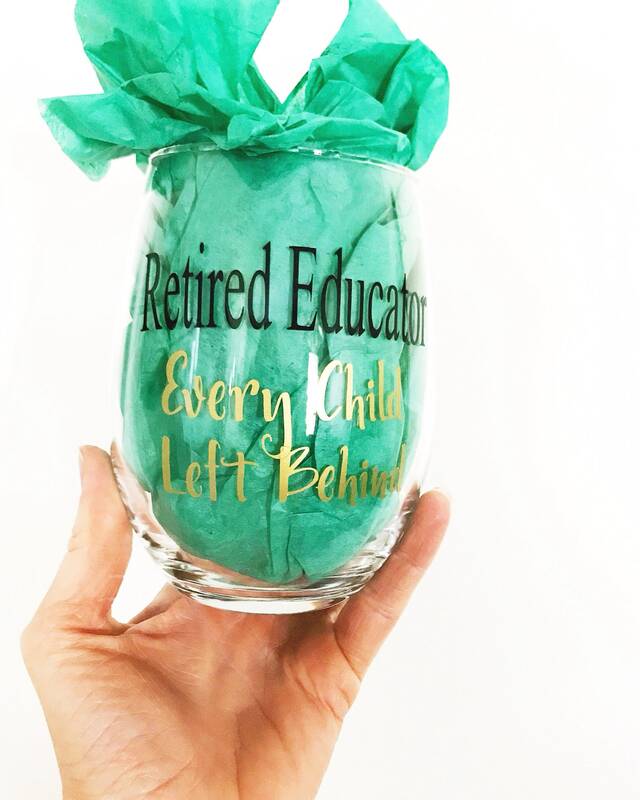 Lovely gift! Well made, quick shipping! 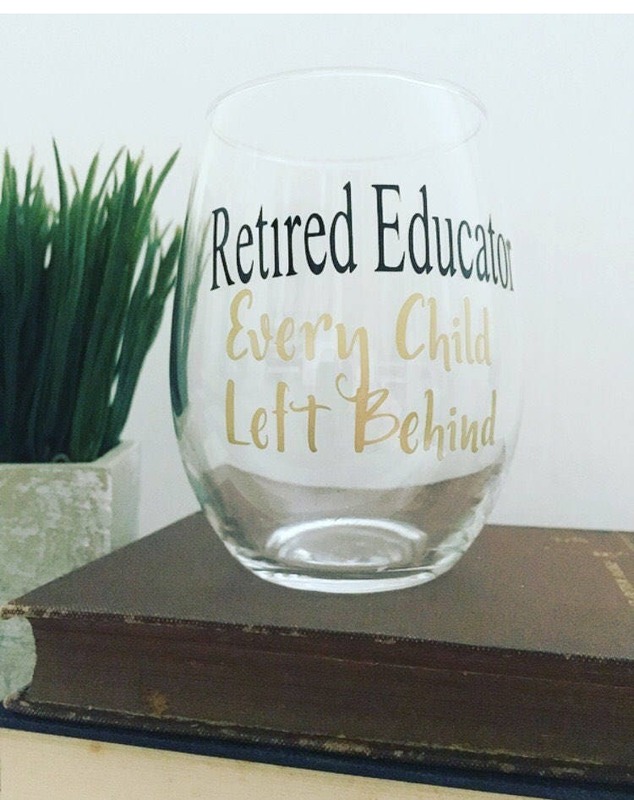 The person I got this for really loves this! It shipped quicker than expected :) Thank you!